1. HEDP is an organophosphoric acid corrosion inhibitor. It can chelate with Fe, Cu, and Zn etc. metal ions and form stable complex compound. It can dissolve the oxidized materials on these metals’ surfaces. 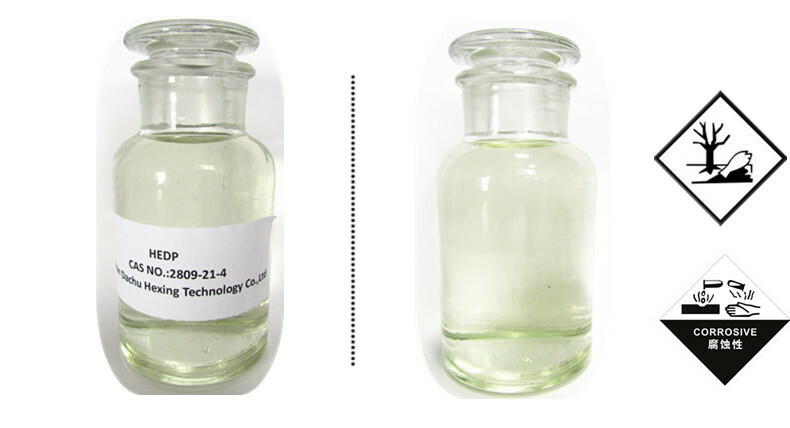 Under 250℃ HEDP shows excellent scale and corrosion inhibition ability. 2. HEDP has good chemical stability under high pH value, hard to be hydrolyzed, and hard to be decomposed under ordinary light and heat conditions. Its acid/alkali and chlorine oxidation tolerance are better than that of other organophosphoric acids (salt). 3. HEDP can react with metal ions in water system to form hexa-element chelating complex, with calcium ion in particular. Therefore, HEDP has good antiscale and visible threshold effects. 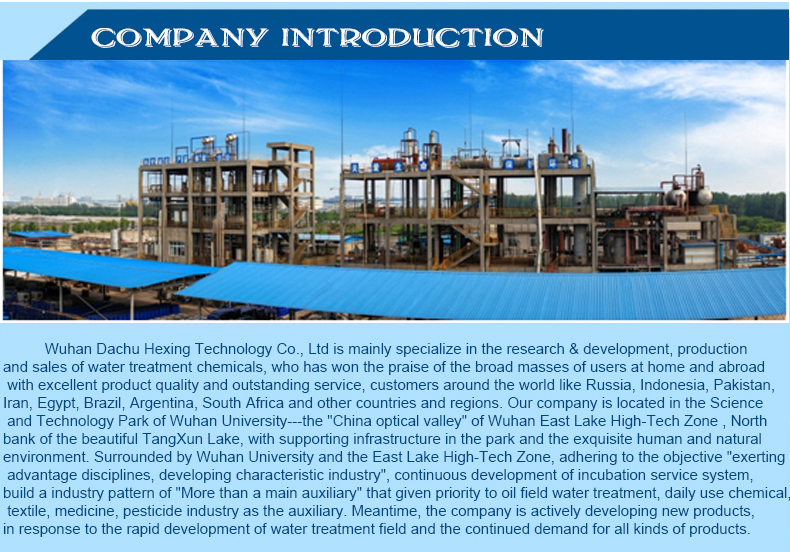 When built together with other water treatment chemicals, it shows good synergistic effects. 4. 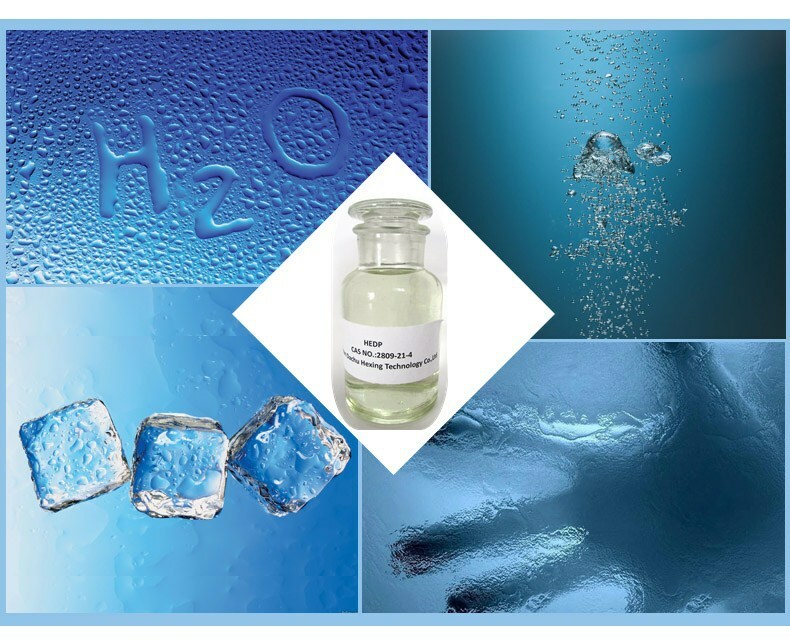 The solid of HEDP is high purity product, suitable for using in winter and freezing districts. 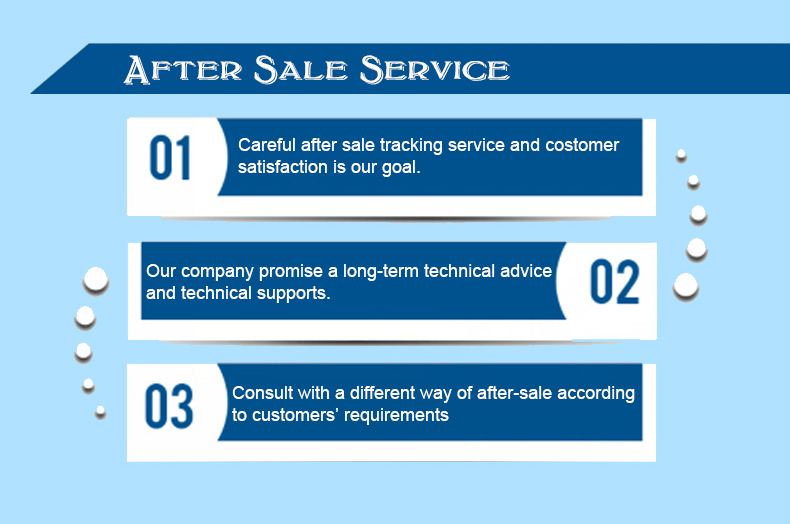 it is quite suitable for using as cleaning agent in electronic fields and as additives in daily chemicals. 1. 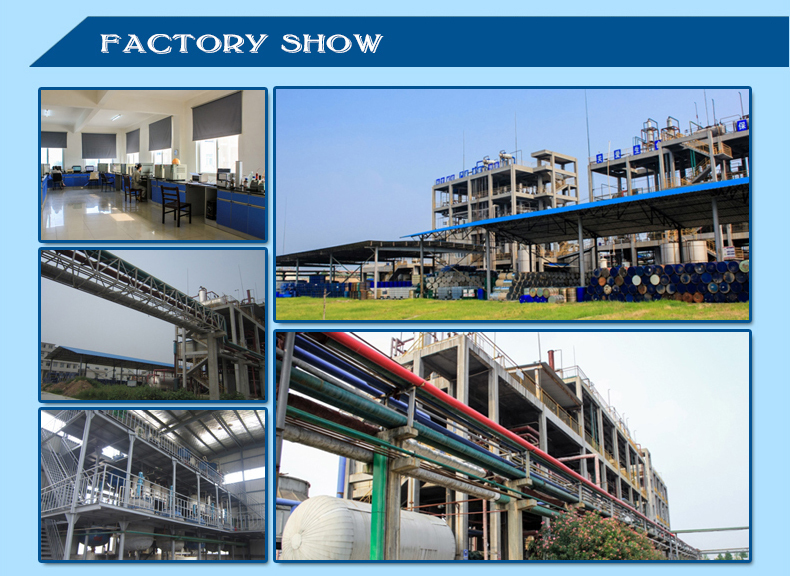 HEDP is widely used in the in circulating cool water system of electric power, chemical industry, metallurgy, fertilizer, etc. 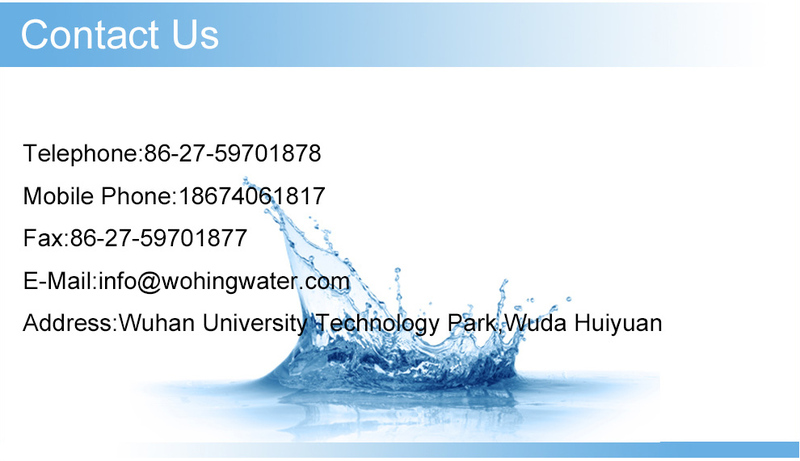 and widely used as a scale and corrosion inhibitor of low-pressure boilers, field waterflood, oil pipeline. 2. In light&textile industry, HEDP is used as detergent for metal and nonmetal. 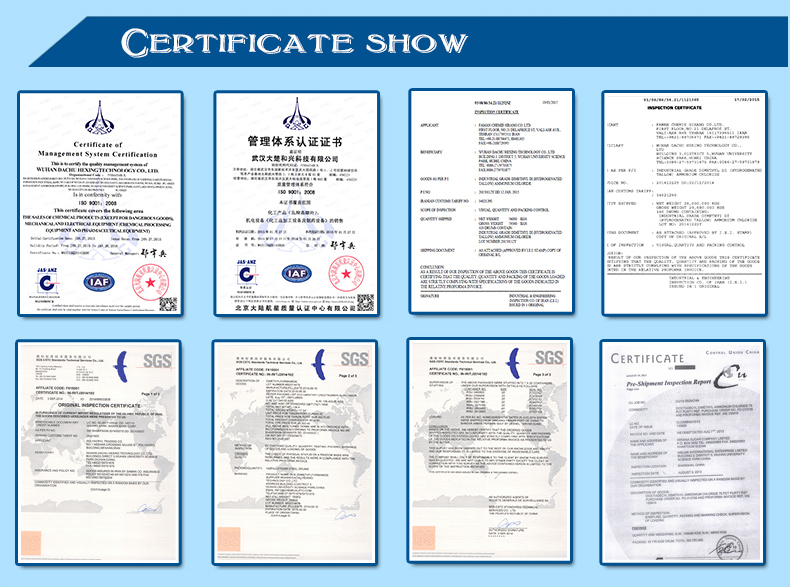 In dyeing industry, HEDP is used as peroxide stabilizer and dye-fixing agent. 3. 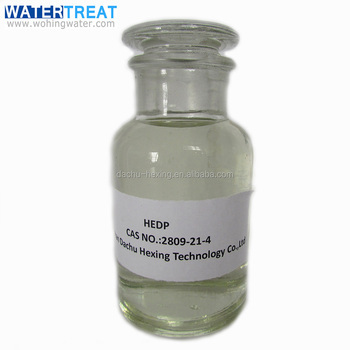 In non-cyanide electroplating, HEDP is used as chelating agent. The dosage of 1-10mg/L is preferred as scale inhibitor, 10-50mg/L as corrosion inhibitor, and 1000-2000mg/L as detergent. Usually, HEDP is used together with polycarboxylic acid. Store above 0℃/32℉. Do not use steel containers. Suitable containers include polyethylene, polypropylene, fibreglass,glasslined steel and polyvinyl chloride. Do not use copper or brass plumbing or valves. Ensure that containers, whether empty or full, or part full, are tightly sealed unless in use. Avoid creating or breathing product mist. Use with adequate exhaust ventilation if a mist is created.